Are you considering a hysterectomy? Learn the basics of this treatment option as you move toward the best decision for your future, health, and wellbeing. Asking the right questions is the best way to be prepared for a hysterectomy. Click here to learn more about the decision making process, alternative treatments, and the questions that you should ask your doctor. Hysterectomy treatment doesn't end immediately after surgery. Learn about the emotional and physical healing process in the weeks following your procedure. join the discussion,submit questions,read patient stories, or read about what's new in the field of women's health-all on our discussion boards. Welcome to Hysterectomy.com - a comprehensive resource you can use to find the information from doctors, support from the medical community, and connections with other women you need to understand your condition, hysterectomy surgery, and your available treatment options. Our goal is to increase awareness about this commonly misunderstood procedure, promote a larger conversation throughout the general public and medical community, facilitate real connections, and enable women throughout the world to make a treatment decision that is right for them. If you have been recently diagnosed with a female reproductive condition or disease, including any of the common reasons for a hysterectomy, and your doctor has suggested that a hysterectomy may be an option for you, you can use this website as a starting point in your journey to gather information. Through this online resource center, you can find support from medical professionals and others going through the same experience, which can be precisely what you need to navigate your decision process, find safe and effective treatment, and live the life you deserve. A hysterectomy is a surgical procedure to remove the uterus from a woman's body. There are many different types of hysterectomy surgeries that use various approaches, techniques, and technology, including a number of innovative, minimally invasive procedures. Regardless of the procedure used, being well informed about your particular condition and all available options and alternative treatments is essential to your decision-making process. 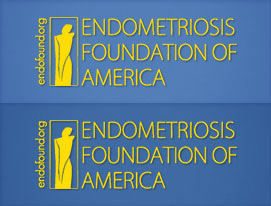 Our website provides a frequently asked questions section and offers you the opportunity to fill out a contact form to find information specific to your unique needs, goals, and lifestyle.We also maintain online forums where you can voice your questions and concerns, share your story, and read the stories of other women who have undergone a hysterectomy and have experienced many of the same issues you face now or may encounter in the future. At Hysterectomy.com, we are truly a comprehensive resource that strives to facilitate connection and provide you with a voice. Hysterectomy.com is a reliable resource you can trust to deliver the tools you need to begin your journey, equip you with the resources to make a well-informed decision, and provide you with connections for real, genuine support. Begin your journey toward a happier, healthier life by browsing the website, sharing your story on our message boards, and reaching out for the information, support, and advice you need. 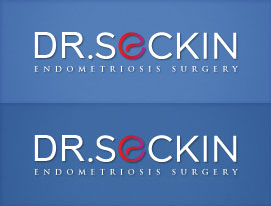 If you are located in New York City or the Tri-State Area – or would like to travel to New York – make an appointment with Dr. Seckin or call (646) 960-3011 for more information about receiving a second opinion.